AEC was awarded this project by the Oregon Department of Fish and Wildlife as part of a public bid process. 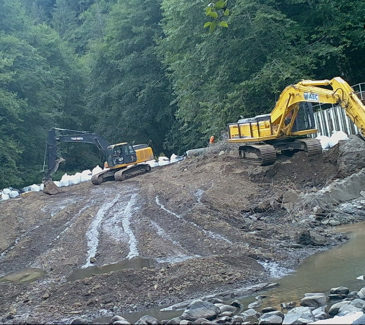 The scope of the project included the removal of the existing concrete dam and its associated appurtenances located on the East Fork of the South Fork Trask River approximately 18 miles east of Tillamook, OR. The dam was owned by ODFW and was located on property belonging to the Oregon Department of Forestry. 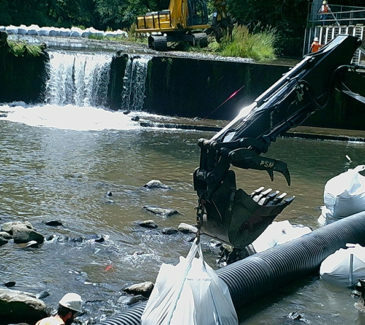 The intent was to restore the site to pre-dam conditions by the complete removal of the dam including the apron, cutoff walls, sheet piling, concrete abutments, a fish ladder and screen, and piping. 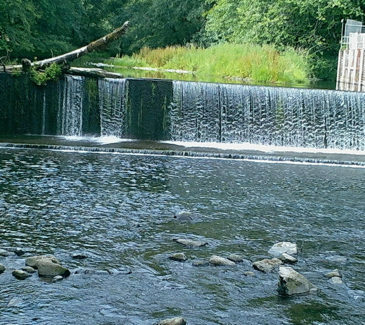 The dam was nine (9) feet tall, 100 feet wide, and was operating as a diversion structure used to deliver water to the existing fish rearing pond. Following mobilization of heavy equipment to the work site, crews installed the standard BMPs at the site, including Visqueen liners and absorbent materials. 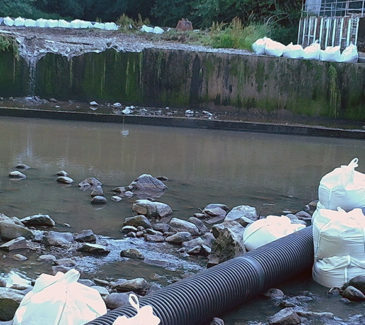 Additionally, AEC followed BMP procedures during fuel handling activities to ensure that no spillages would occur and pollute the adjacent streams, causing hazard to human, aquatic, or other wildlife. AEC then excavated the channel in order to establish the water bypass and diversion system was in place. After the water diversion and fish protection measures, we began the demolition and removal of the concrete dam, including all locks and structural material. Following site salvage and demolition activities, crews began to rebuild the natural streambed and perform slope stabilization activities. After the surrounding earthen areas were secured, AEC slowly reintroduced the water back into the creek. Lastly, crews returned the site to better than preconstruction conditions and demobilized from the site.